Slide into ultimate comfort with the Earth Kara Hopper. 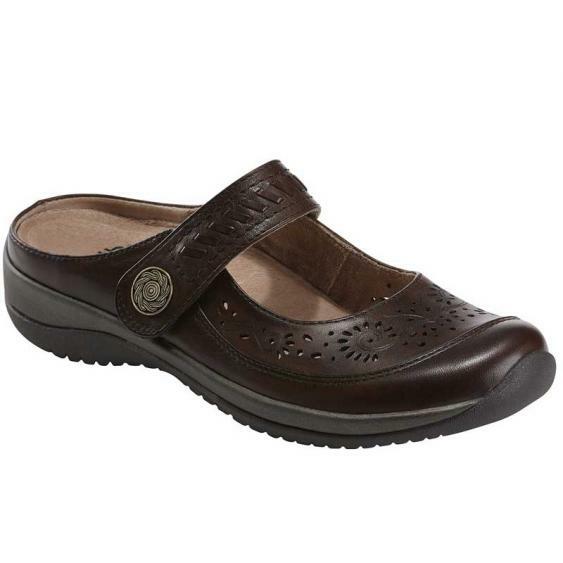 This women’s slide is crafted from premium leather and features laser cut perforation detail. An adjustable strap gives you just the right fit and the Earth® Powerpath® footbed guides the foot along its natural path to take stress off your joints. Comfort has never looked as good as it does with the Earth Kara Hopper.